No matter what your circumstances are, whether you are a concerned parent, taking care of elderly relatives, living with your partner or even living on your own, no household should be without a good thermometer. Being able to tell when someone’s temperature is dangerously high and knowing that its time to make a quick trip to the doctor is invaluable, especially if you have children or live with younger relatives like grandchildren or nephews and nieces. 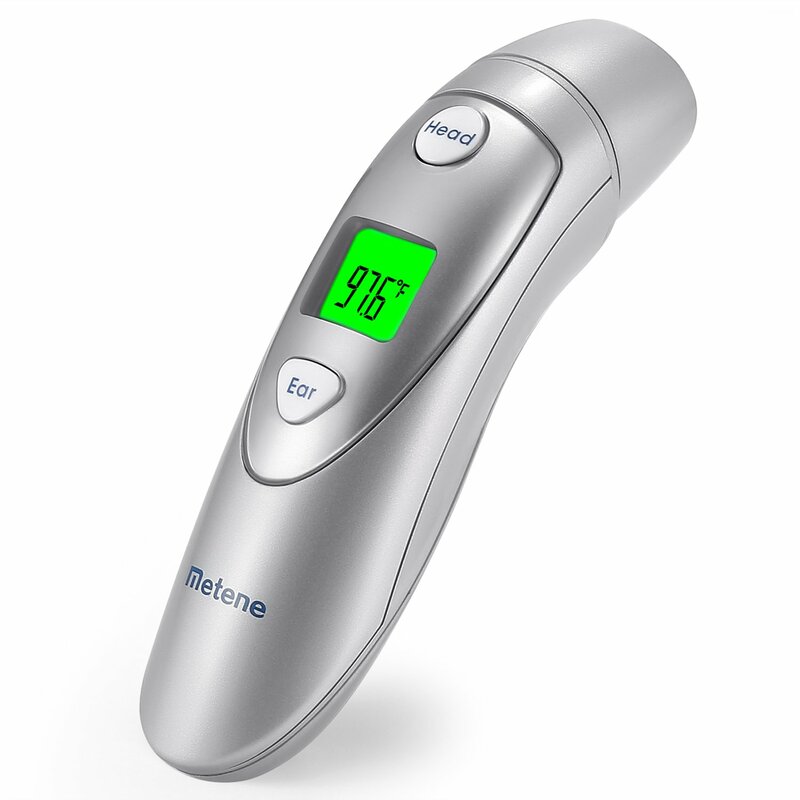 While many of us will have grown up with the old fashioned mercury thermometers, they really aren’t that safe (and its a miracle we don’t all have mercury poisoning), so if you have one at home, it is time to get rid of it and get a modern, digital or electronic ear thermometer instead. 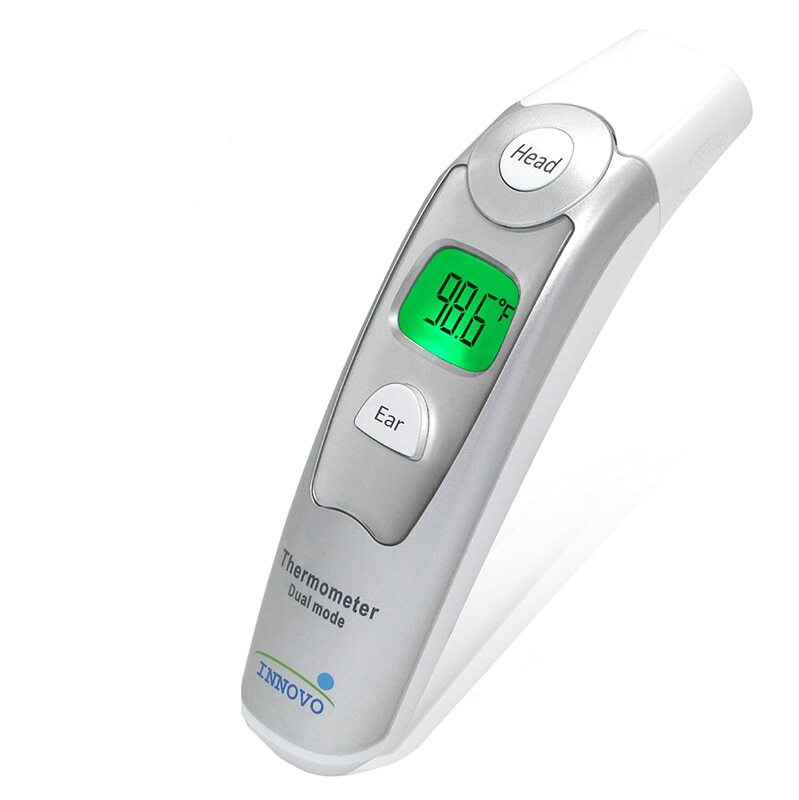 In order to save you time, we’ve compiled a list of the most up-to-date and highest quality thermometers for the ear right here, so you don’t have to worry about trawling through the internet. 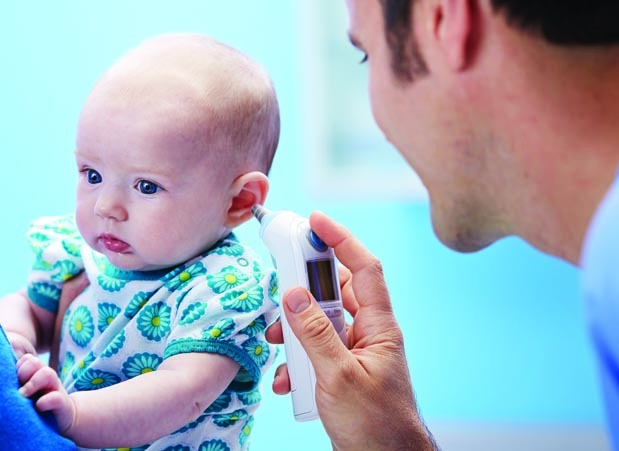 We’ve got digital thermometers and infrared thermometers, as well as ones for babies, children and adults, so everyone souls be able to find the perfect ear thermometer for their family right here. If you are looking for a thermometer for another part of the body, we’ve got that covered too. 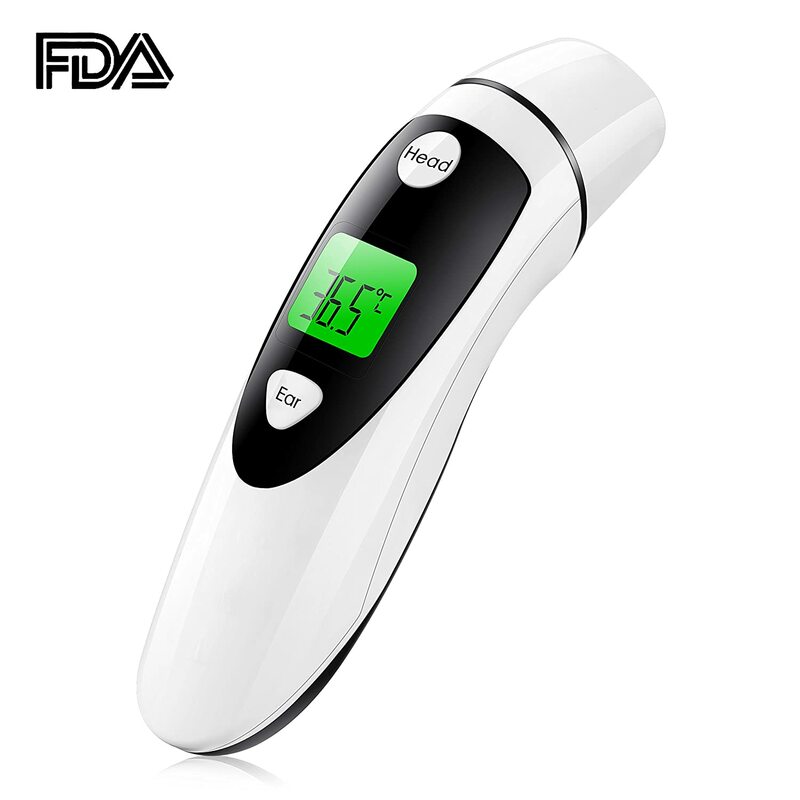 As you are obviously aware, there are many different types of thermometer on the market these days, including forehead thermometers, armpit thermometers, rectal thermometers and others, and it can be hard to know which one is right for you.. 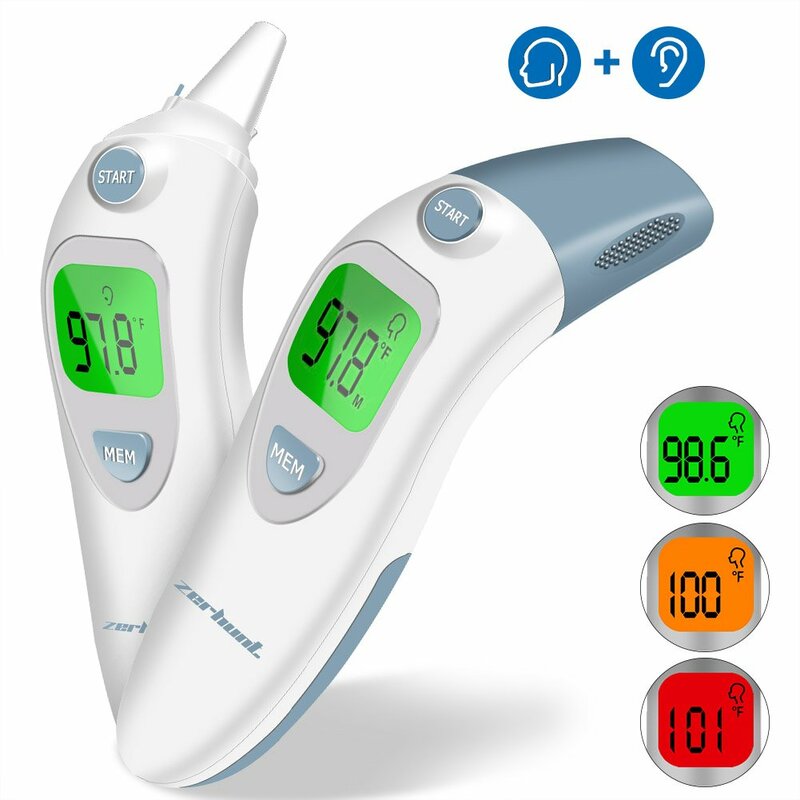 Taking the temperature through the ear has many advantages, and as such we really recommend them for everyone, but especially babies and children. 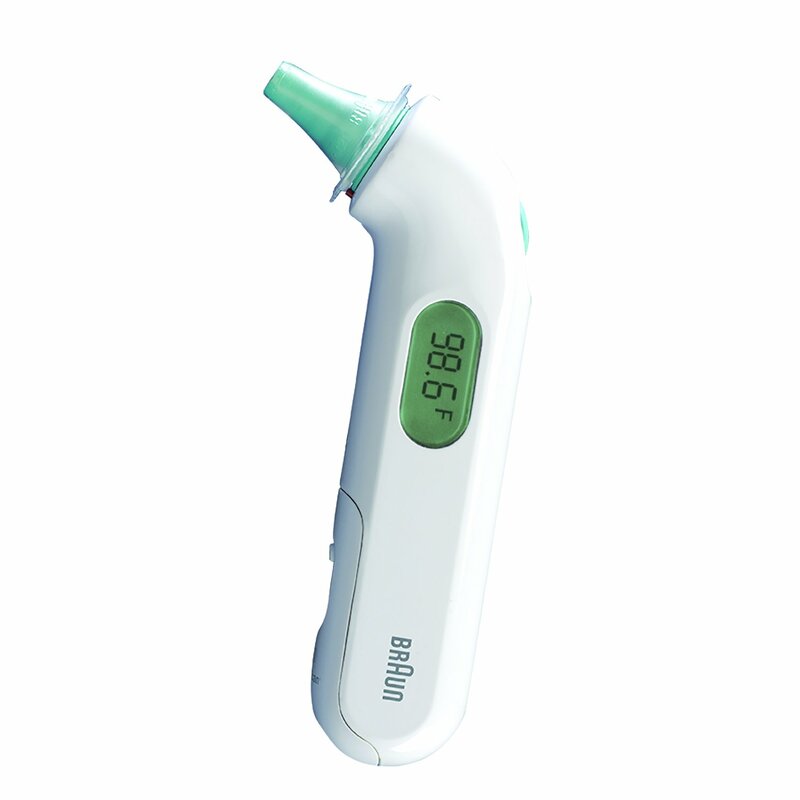 Here are our top 5 advantages for the ear thermometers. Convenient – While we all know how unwell children and babies hate being prodded, probed or having things stuffed in their mouths and armpits, we often tend to forget that many adults are like this when they are sick too. These thermometers are very simple to use and not invasive at all, just hold them up to the ear and let them do their thing. For crying babies and for whiny teens and adults, this can be the best way to take the temperature with the least amount of drama. 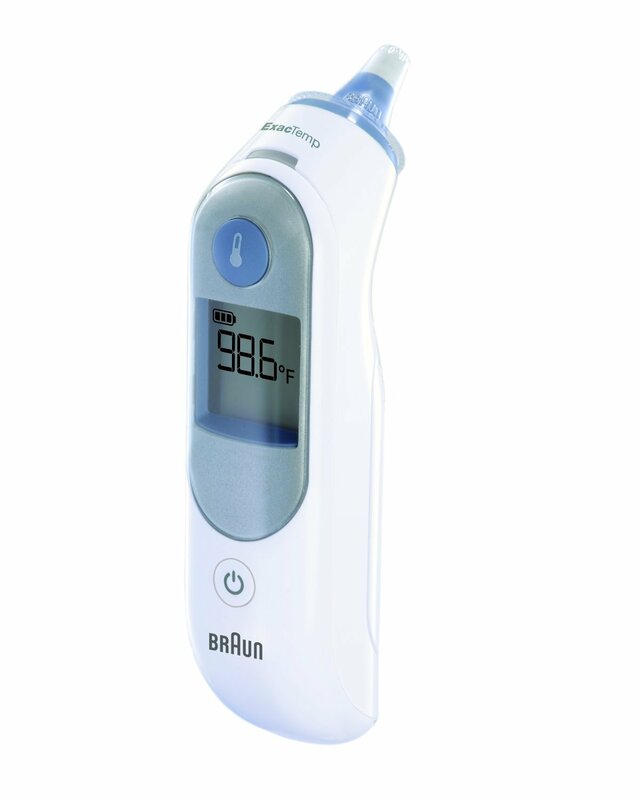 Accurate – These thermometers give very accurate readings, as they detect temperature through the tympanic membrane (eardrum) which shares its blood source as the brain’s temperature management center, so it really is the best way to check for a fever or dangerously high or low temperature. Fast – While some of the other thermometers can take up to a whole minute to get a proper reading, most ear readings can be done in a matter of seconds, which is what you want to hear if you have a squirming baby or an angst toddler. Getting them to hold still, especially when they are sick, can be a nightmare, so this will really help you out. On the other end of the spectrum, they are a great for impatient adults too. Hygienic – These thermometers come with disposable plastic lens filters that can be used to cover the sensor and then discarded after one use. This means that you can not only keep the thermometer clean, but more importantly, you can use it with all your family members without spreading germs or infections. Easy to use – All it takes is a click of a button, and the machine does the rest for you. Better still, many of these can store readings, so you can see the progress of a temperature over time, and they also may have alarms built in to give you a clear and fast warning if it reads a dangerous temperature that needs medical attention. Keep your family and their health safe with this highly accurate and reliable digital thermometer. Clinical tests have proven this to have a super high accuracy , accurate to ±0.2°C (0.4°F) for precision, so you never have to worry about this giving you the wrong reading or missing a dangerous temperature. IT also has an inbuilt fever warning system, showing a green screen for a normal reading and a red screen with beeping for a fever. What a great way to keep your kids safe! This is also one of the fastest thermometers we’ve ever seen, with readings taking from between .5 to 1 seconds. It has dual modes for ears and foreheads and can read in either Fahrenheit and Celsius depending on which you prefer, so no matter which system of measurement you use, you’ll be able to understand this. 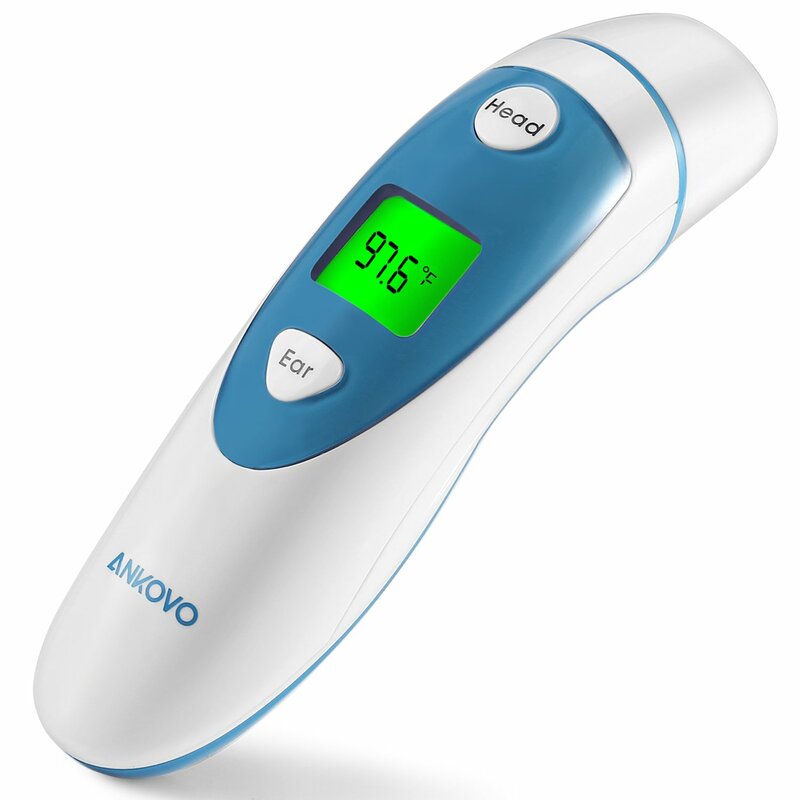 For families, medical professions, school nurses and so much more, this is a brilliant and versatile thermometer that is brilliant for kids and adults. 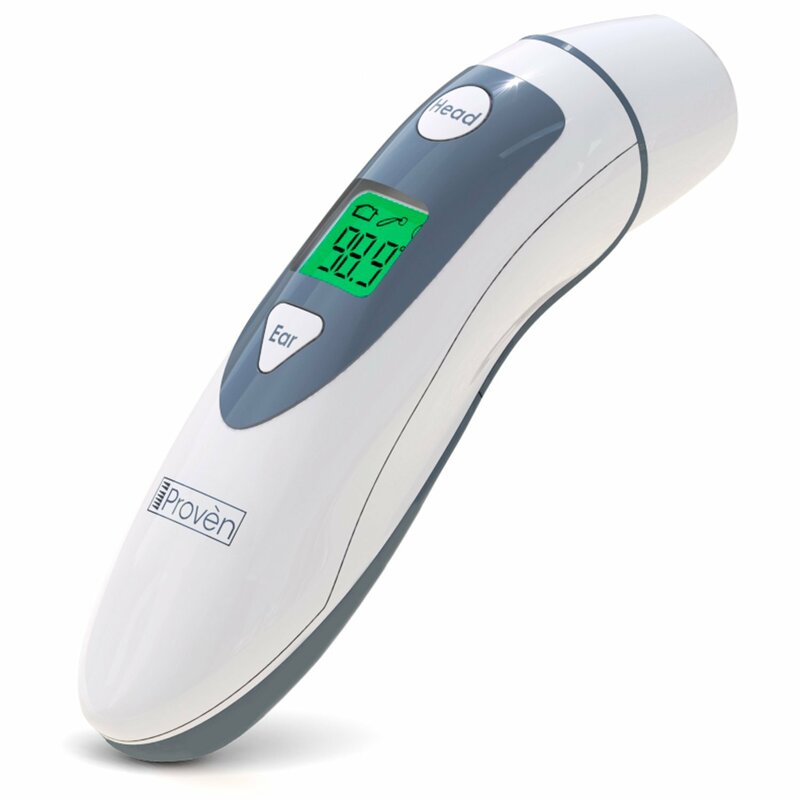 This is a professional and mutli-functioning thermometer that will feel right at home in both your family medical cabinet or in a doctors surgery. This can measure temperature in both the ear and the forehead, and can also be used on the surface of objects, such as water, milk or food, so it will be good for children and also in the kitchen. It only takes a second to get reliable and consistent reading with accuracy within ± 0.2℃ (0.4℉); The easy to read LED screen will display the temperature in either Fahrenheit or Celsius, which is great for those with poor eye sight, and it is even readable in the dark. What makes this one stand out is that it doesn’t deep sensor coverings, and you can easily clean the probe before and after using for hygiene, so this is a good one to save on both the costs of disposable lens covers and also help[ the environment. Batteries are included, and this is both FDA and CE approved. Many pediatricians recommend this thermometer, and we can see why. Your family will be in good hands with this. 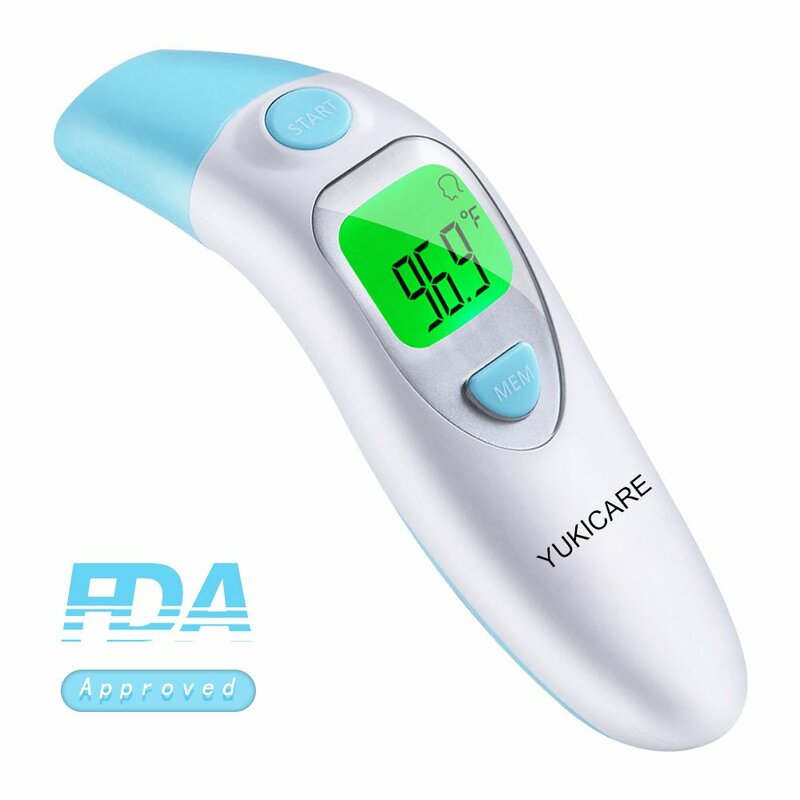 This great thermometer is one of the best ones we’ve seen, as it can easily switch between ear and forehead mode at the touch of a button, meaning that even in those moments when an ear infection means that the ear is not suitable, you can still get the temperature reading you want. This also uses the most advanced medical technology to read the temperature via infrared, and this has gone through vigorous FDA clinical tests in order to ensure that it is consistent, accurate and reliable. It is also very fast, as it will give you its results on just one second. What is really special about this one, though, is that it can store up to 20 readings at a time, letting you monitor a rising or falling temperature over time, and you can then easily just slip it in your bag and show the doctor at the next appointment. We recommend this to people who really need something that can store these readings, such as parents with young children or those caring for elderly relatives. Despite the fact that these thermometers are indeed highly accurate, many people think that they are not, and often get varying readings when using them. This is not due to any problem with the thermometer, but rather through to bad habits or ignorance from the people using them. In order to avoid this and always get the most accurate readings from the thermometer, here are out top tips for using them. 1. Always use the same ear – Readings will naturally have some divergence depending on which ear you use, so stick to either the right or left ear and keep reading through that. 3. Don’t use on an infected or injured ear – This should be obvious, but a damaged or infected ear will have its own problems that can interfere with the reading, as will ear drops. In this case, use the other ear or, if that is not possible, perhaps you need an underarm thermometer or a forehead one. 4. Be careful of Ear Wax – heavy clogged up ear wax can interfere with the reading. 5. Watch for Blood or ear fluid – Don’t use the thermometer on a ear that has blood or fluid drainage inside. Take this person to the doctor right away of you have not already done so instead.